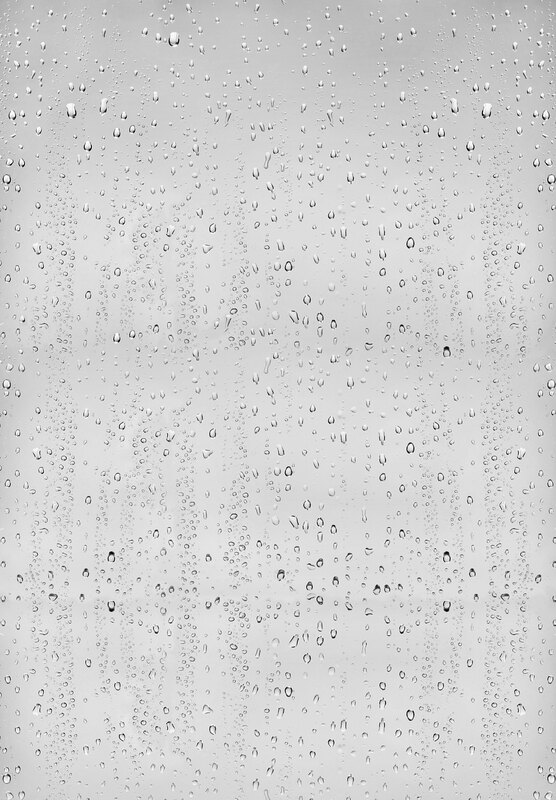 Size Choose an option1 gal.2 x 32 fl. oz.32 fl. oz. Reduces Rubber Roof maintenance up to 75 percent! Cleaning a rubber roof no longer has to be a knee-bending, back-breaking chore. 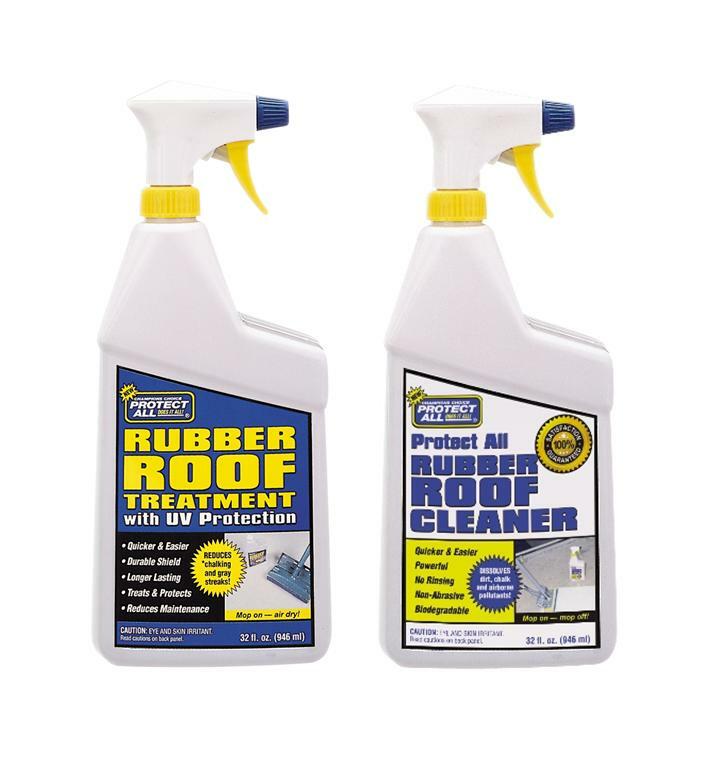 Protect All RUBBER ROOF CLEANER is formulated to make cleaning both easy and quick, eliminating hours of washing, rubbing and buffing. Removing the buildup of dirt, roof chalk and airborne pollutants can now be done “standing up” with a sponge mop and bucket of water. A soft bristle brush can be used in tight areas or when necessary to remove stubborn grime. 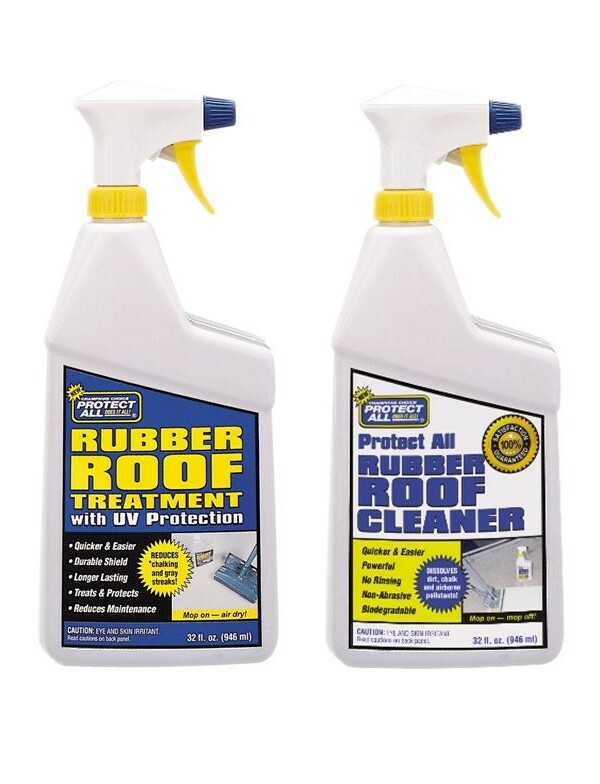 RUBBER ROOF CLEANER eliminates rinsing and runoff, keeping the RV clean and dry. Roof cleaning can be performed at campgrounds, storage lots or whereever water use is restricted. Enhanced-formula reduces maintenance up to 75%. Enhanced Protect All RUBBER ROOF TREATMENT with UV Protectant is a blend of proven polyolefin compounds engineered specifically to retard roof chalking, minimize maintenance and provide additional protection that can help extend the life of the rubber roof membrane. The tough polymer anti-static coating creates a durable shield that keeps dirt and grime from sticking. Application of Rubber Roof Treatment is now quicker and easier — just spray, mop and air-dry. The enhanced formula is safe and compatible for use on ALL types of EPDM rubber roof systems. Rubber Roof Treatment reduces chalking that causes ugly gray streaks down the side of the vehicle, creating more frequent cleanups. Roof chalk, a by-product of the rubber material, occurs most often when a rubber roof is exposed to excessive moisture and heat. Depending on environmental conditions, treating should be performed two to four times annually. In drier climates, two applications a year may be sufficient. In climates with moderate-to-heavy rainfall or humidity, it may be necessary to treat your roof three to four times a year to reduce the chalking process. Regular treatments of Protect All Rubber Roof Treatment will help reduce chalking and frequent cleanups. Coverage: Depending on roof condition and accessories, i.e., vents, air-conditioner, etc., one quart treats a 35 – 40 foot roof two to three times.